Moth scales can be hair-like (piliform), or flat (lamellar) which are layered. 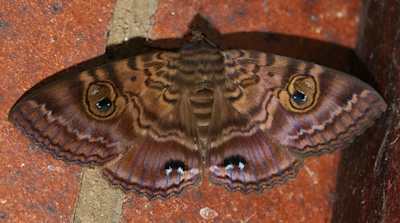 In some moths, the pigment which gives the colouring is secreted between the layers. 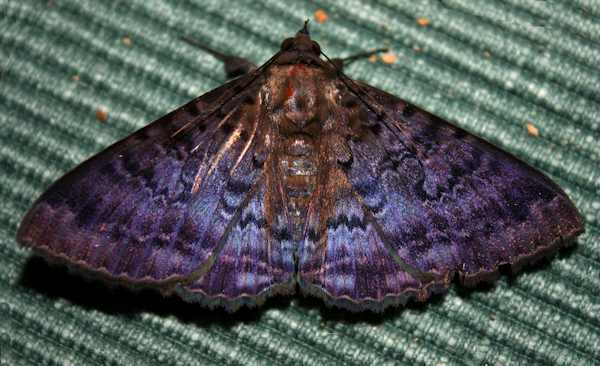 In other moths the scales are reflective and produce the colours by diffraction of light. The examples below of Speiredonia spectans (common name "Granny's Cloak Moth"), and Speiredonia mutabilis, show a variation of colour depending on the angle of the camera to the light source. 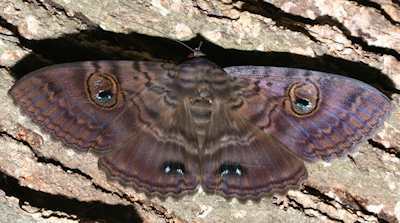 In general, when you see the moths in daylight they are tucked into a corner around the house or a shed and look dark brown. In the third photo some variation can be seen between the left and right wings.